At Clean Team, employee satisfaction is a priority, and management works hard to find and retain the best people. 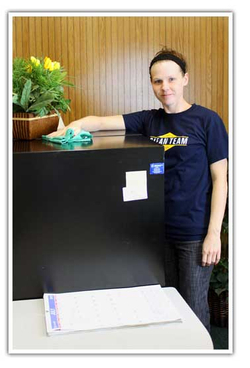 In fact, many employees have over 15 years of service with the Clean Team family. This is because our employees are highly valued. From thank you notes to recognition lunches and employee appreciation parties, Clean Team knows that we are only as good as our employees. As Clean Team continues to grow, Bob, the owner, never forgets the company’s humble beginnings and has a deep appreciation for Clean Team’s employees. Therefore, Clean Team focuses on hiring the right people, treating them with respect, rewarding their achievements, and giving them the tools they need to safely perform their jobs. We have a deep appreciation for people. We are all unique, and we all have something to contribute. A full explanation of our Clean Team Advantage - Smart Service Backed by Dedicated People can be found here. They are the keys to our success as individuals and as a company. 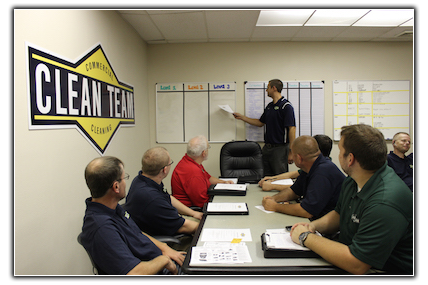 Clean Team offers ongoing training programs for our valued employees. If you are reliable, motivated, and hard-working, apply to become part of the Clean Team family!